Welcome back to another episode. My name is Aaron Doughty. It's today we are back at it again. 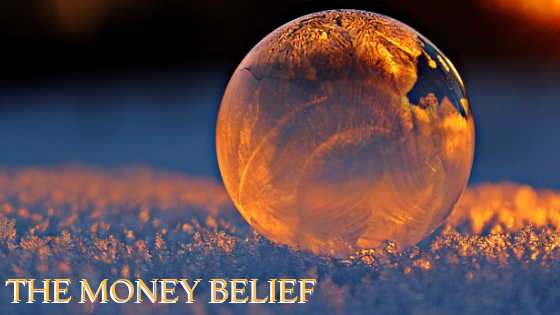 We're going to be talking about the money beliefs and our beliefs about money because the truth is our beliefs are creating our reality, and if we believe that money is hard to create, our lives or money is hard to attract in our lives than it will be. You know, it's funny, as you can't really say, can you create more money in your life or you got to make more money? Making money is illegal. If you were to print your own money, it would be illegal. The first thing I want to share with you and I want to show you is that the money already exists. You don't have to create it. It's already there. It's already out there. This isn't a matter of creating it or printing it and I don't want you to go to jail. I'm just honest with you. I don't want you to go to jail because you've been wanting to create more money in your life or to make more money in your life and you just weren't aware of that. If you make money, it's illegal. You know, in the current reality system that we live in, the beliefs of our society, that's where we currently are. Let me first off say, it makes it so much easier to know that there is so much abundance out there. There is so much money out there that you don't have to make it. You don't have to create it. It already exists. The key is understanding money in an entirely new way, and by the end of this episode, you're going to have a totally new outlook on money. I can promise you that, and it's going to involve seeing money in a new way and then you can start to see how you can in a way formulate what you're doing to align with that of the principles of money itself. First off, let's just define, I've been through my own barriers with money because for a long time I saw myself as only able to make a certain amount. I used to work a sales commission job as some of you may know. I worked at Nordstrom's in women's shoes, then I worked at Barneys New York, which is like higher end women's shoes. I've always sold like luxury women's shoes, women's shoes that are between ages, between the price point of 300 bucks on a very cheap end to like all the way up to the couple thousand dollars for one pair of shoes. I worked there for years before I went full time on YouTube for about a year and a half ago. And it was interesting to me because I could see a direct correlation between what I was thinking, what I was feeling, what my intentions were to when I went into work every day because it was almost like I had the perfect experiment, experiment, experiment for. I had the perfect way to learn how to attract money into my life. Because every day you start at zero, so it's a complete commission job, so I'd go in for the day and you start at zero and then you start selling to people and that adds up and then when you leave at the end of the day, hopefully you've sold a certain amount that it makes a good. That makes a good amount, right? Because you got a present percentage of that. I got like 10 percent at Nordstrom's and at Barneys New York it got like I think six percent, but the price point was way higher but it was like what I liked about it is I kind of in a way controlled my paycheck based on how much I would, you know, work and I would learn and all of that stuff. It was like the playground of the law of attraction and I was able to learn what works, what doesn't work. I'm going to show you some of you, what does work, what doesn't work in this episode, plus new perspectives to see how money really works. I would have learned a lot of things as I was working at Nordstrom's and Barneys and I would pay attention to if I had a certain goal of what I wanted to make, I would pay attention to the kinds of interactions I'd had with customers. There was a certain energy place that I, when I would get two things would happen much easier and the paradox of it is you would think that the more you're like thinking of something, the more you are like you know, serious about your goals and that would be the case, but a lot of times it was more so. As much as I would let go of the outcome, good things would happen. As much as I would just have fun in the present moment, things would happen even better as long as my state of coming first. If you're finding that you're not making a lot of money in your life, be aware of how your state of being is with money. If you view money like that as something that's very serious, something that's very heavy, something that is hard to attract. If you have these beliefs about it, then that will be a self-fulfilling prophecy. You'll look around, you'll want more money, and the wanting it in the present moment also clarifies and says, Hey, I don't currently have that. It's not in vibrational resonance with it. The first thing about this whole process, becoming aware of how you relate to money, how do you relate to that? Have money, does money come easily. What would you put after that statement? Money is easy to come easily. Money is all around. Money is something that comes and goes, like, what are your beliefs about money? Become aware of that. Your beliefs about money most likely are a reflection of what your parents believed about money or the people you around growing up. It's just simply the way it works and you we adopt in a way we've just kind of like Hammy, take hammy down beliefs of our parents of the way money works. And what we could start to do is start to become aware of what that is, what those beliefs are. And the simple way of doing this, by the way, is what would I have to believe is true to be having this kind of experience. And a lot of times it's an emotional experience that we have with money. I also understand the money isn't the only form of abundance. Money is one of the forms. Money actually has no built-in meaning whatsoever other than the meaning we give it all money is his money isn't agreement, or we say that money means this, so because it means this, we can go around and trade this, this paper and this paper is going to get us more things, but the power is not in the money. The power is in the belief and the agreement that we all have. That money is something that we use to trade and the sale of goods or whatever. It's about being aware that the true power of all of this is consciousness itself. Think of money more as what emotion does money give you? Think about what that is. What emotion is money giving you? For me, money gives me freedom. Money gives me security. I remember to do what I want when I want to do it. That's what money represents to me, so because of that, that's what I relate to. That's how I think of money. The thing is we usually have all these connotations that come with money, like these strings attached. Maybe you saw your parents stress about money growing up. Maybe you saw that one of your parents was like, okay, with money one wasn't, and there's always this frustration between the both of them because one was good with money. When it's about money, maybe you started to associate pain with money then because you started to see that pain gave problems in your family, but the first step to this process is simply becoming aware of what would I have to believe is true to be having this kind of experience. Then what you could do is you start to ask yourself what perspectives and memories from my past developed my beliefs about money? You will see certain memories pop up. You will see that maybe you had a memory of you wanting something and going and then not able to get it, not able to afford it, and you started to associate pain with it. You may have a belief that when you were younger, you wanted something and parent told you something or someone told you something or you were with a group of friends. You have a pretty young age, are you when you were old enough to like go to a little store or something he didn't have enough money for it is embarrassing. Find out what the reference experiences were because he's referenced experiences. Maybe what controls and is guiding your experience of money in your life, but the key is knowing that money has no built-in, meaning it is the meaning we give it and knowing that money already exists is not something you have to create. It is just something that you begin to get in alignment with when you begin in alignment with yourself in a new way. Let me share before I get into the life-changing the transformational way of looking at money in an entirely new way. Let me share with you some of the things that worked when I was working at Barneys New York or Nordstrom's, which are both sales commission jobs now, what I recognized is that the more I went into my job more or no work and I focused on increasing the state of being of the people that I was helping, so I'd be helping customers and the customers I was helping. It was normally pretty wealthy people because they're able to afford a $1,200 shoe, $100 shoe, so when I was helping these people, instead of focusing on the money, instead of focusing on what they could give me, how they could make my paycheck much better, how they could add value to my paycheck instead of what I focused on is how could I add value to them. I focused on how I could increase their state of being because this is what I knew about selling. This is one thing that I learned that really changed everything. If I could focus on increasing their state of being, they would then get into a buying decision. It's more about emotion. People buy based on emotion, not just logic, some people buy on logic, but people, people, people justify with logic, but they are pooled with emotion and what I realized is that, okay, instead of the days I had the best days are the days I was just having fun. I would just joke around. I would just kind of go around, I would just have fun with their coworkers, and I would have fun with two people and I was kind of had like this sarcastic thing, so I would just like mess with people in a nice way, but I would do that and increase my own state of being and guess what? One of my state of being is increased. Then other people can feel that off of me and it's contagious, so then people just want to be around me. I remember some of the best days I had days. I was in a really good high vibe state, feeling really good and I wasn't even really focus on a certain amount. There were a couple times that I said there were a couple of times I was almost to the dollar amount of goals that I had, you know, there's many times I'd get close to them, you know, close to goals over the goals. But there was one time when I was first learning about the law of attraction, I set this intention. I remember I wrote in my mirror, I wrote $6,835. That's what I wanted to sell for that day. And we got paid 10 percent commission. That means I would've made 600 bucks and, you know, eight-hour shifts. That's good. What I did is I wrote that on the mirror and I just simply knew it. I believe that I could do it, you know, it's traditional law of attraction story a thought it. I believed it, that I achieved it. I go into work and when I went into work that day, it actually wasn't that busy. I was helping some people. And actually, the first half of the day I didn't even do that. Well, I was maybe at one grand or 2000 bucks by the time I went to lunch, like three hours later I had to take a break because I was just getting tired. I was like, I'm going to get frustrated a little bit. I took a break when I ate lunch and then when I came back, things started to pick up. The customer started to come in and my sergeants get on point. I started to be in the flow almost and people just start coming up to me even though there are other salespeople around, it's like they wanted help from me. I got really busy and then towards the end of the day, my last customer, somebody actually passed on the customer to me it was this guy that normally sold a lot. I was surprised he pass it on to me, but he had to go or something like that. He passes me on this customer that was this a Chinese lady that didn't speak any English at all, but she had money. She literally walked around with try on different shoes and she bought like $4,000 worth of stuff or like she bought a whole bunch of stuff and by the end of it was one of the biggest sales I had up until that point where it can at Nordstrom's. I checked my number and my, what I sold was within $10 of that $6,000 goal that I had. I talk about it sometimes. I don't remember the exact number. It was like 6,685 or something like that, but it was a tenant within $10 of that $6,600 something. Some, I don't remember the dollar at the end. It's been like six years, but it was a big moment for me and I remember that it was within like $10 of it and I was like, oh, this stuff is actually real. That then started to prime my belief system so that I realized that if I set myself a goal for something that I could achieve it. So that's what really began to change my perception of, okay, this stuff actually works. However, sometimes there's been an overemphasis on the ego's desires of wanting to sell a certain amount and sometimes what works better, just getting to the state of being first and having an intention, I found with money is having an intention to add value to other people has been monumental and the whole experience. When I would go in thinking about how could you add value to my paycheck, I wouldn't do that well at all. In fact, it would repel customers. People can almost feel it off of me. I almost came off more like a salesman type guy, but when I was just focused on adding value, I was like a person and it was like a person as like a connection I felt with the people I was talking to and people respond in a much different way. Think of the energy dynamics of that adding value, increasing your state of being, being present to the moment, being happy in the present moment, enjoying the process. That was when things really began to change. That's what I learned with my own experiences of working in a sales commission job for years and I learned that the state of being is the most important thing, but also getting to the core of what I believe about money. What are my beliefs about money? How do I relate to money? And knowing that if I the first thing, that's the first step. This whole process always is being okay with where you are. If you resist what you've already created in your life and you don't take responsibility for it, you continue to create that resistance, and you'll continue to lock yourself in that little bubble of not having a lot of abundances. It is okay where you are. Maybe you're these beliefs are on autopilot and you just weren't aware of and be grateful because now you're aware of it. First, say yes to the present moment. Be aware of what your beliefs are. That is what she began to shift for me is when you start asking yourself the question, what would I have to believe is true to be having this kind of experience? What I have to believe that money is bad. Well, where did that belief come from? Well, I remember this one time. We were driving to buy these really nice houses, and I made a comment about them and I was kind of shut down, or my dad or my mom or dad then felt really resistant when I mentioned something, and then I picked up on that emotion. When you start to ask these questions, your brain, your mind, you'll start to find answers to what that is. It starts to find the reference experiences and the subconscious mind for it. Then what you do as you are aware of it and you're then grateful that you have found it and you allow the emotion to be there. You allow the feeling to be there and you simply decide that now it's outdated. It's served you because now you're aware of it. You can just let it go. You then see that it was just on autopilot. See what happens is our beliefs create our reality and the moment we give something, a meaning in our past, that then becomes absolute. That then becomes something that's looped, that's on autopilot until we've been dealing with again. Then it until we do that, it won't change. We have to become aware of it, kind of take it out of the toolkit, look at it and then decide to let it go. If it's not serving us anymore, it's never an answer or is this right or wrong? It's does this work or does this not work? Because all beliefs are true. Whatever we believe to be true will be reflected back to us from one person. The next person might be totally different. That's okay because reality in of itself is just a reflection, so now that we're this far in and I've kind of explained how money beliefs work and how our beliefs create our reality, how you can become aware of those reference experiences you have and how you can begin to let it go. Let's understand this new way for understanding money and what money is and understanding a new way of looking at prosperity and money in general. Something I've recently been learning and it's something that's changed my perception of that of money in general and I've always kind of had this feeling, but it's making me more riveted to find as it thinks of it like this, what you put out, think of it. Everything in life is energy. What you put out into the world, the energy you put out into the world is going to be your surplus energy. You have just the energy of your ego is just too that have survived, but anything extra you can put out there is surplus energy when you are putting out this surplus energy which is adding value to other people, which is making people feel a certain emotion. That'd be like me putting out my daily YouTube videos and adding, you know, putting out that energy into the world and helping other people to increase their state of being. You can do this in any genre or any niche or any market. By the way, I used to work at a sales commission job. I could have seen myself as adding value to the other people. I was doing that subconsciously, but this is the way it works. Our energy we put out into the world. We could put that out in an as an emotion, as value, as whatever it is. Then what happens is other people pick up that energy, other people benefit from that surplus energy that you've put out into the world, and then what happens is that reciprocation comes back to you. Somehow that money will come back to you. Whether it's through having like I have different digital courses, I have things that also help people transform their lives. On the other side of that is financial, financial money coming back could be an opportunity coming back, like being able to travel the world and do different things. It could be speaking opportunities, could be all these different things and what we put out comes back to us in different ways. When you make people feel a certain emotion and it adds value in whatever way it does, that didn't come back to you, but you have to first off, put it out for it to bring it back. That's why it's about giving value, giving an emotion, giving a surplus energy, whatever that is, and when you put out that energy, then it will come back to you so you can start to see money in a different way because money is less about that of just the paper, because remember, money is an emotion. Maybe the money brings you a certain emotion, but money has no meaning other than the agreement we have in society. Are you adding value to people with just the emotion, just being around them? Are you adding value by helping people to learn things? Are you teaching people things? Are you? Do you have an invention that then adds value to people's lives in a certain way? Because the degree to which that adds value to other people or give surplus energy to people will be the degree to which comes back at you. You see money is not this. Just this idea of how do I get money? How do I get money? How do I get money? That is the wrong question to ask. It's what the surplus energy that you can be giving out to the world is? How can you be giving value out to the world because then it will come back to you? That's a different way of looking at it and if you start to observe and you start to become aware of this, this will change your whole entire life. This has changed my life because my whole life, my abundance, I live in more abundance than I've ever lived in my life, and every month it becomes more and more it grows because I'm also not focused on the money. I'm focused on the value. Most very wealthy people, most people that are millions or billions of dollars, they're not focused on just the money. They are passionate about what they do. They're passionate about the value they add. They are passionate about what they're doing and they see that even if it's Warren Buffet, right, who's mainly just as in the money finance market, what he has done is he is passionate about that of what he does. When he was six years old, he had that have investment books when he was like six. It's something he's just naturally passionate about. The emotion he puts out, he puts out an emotion of passion into the world and even subconsciously it just goes out there and it inspires other people and that comes back to him. It's not about getting buried in the details of how exactly am I doing this? How am I doing that? If you're doing what you're passionate about, if you're in the vibration of what you're passionate about, even subconsciously that it's going to affect other people, as other people will feel that through. Like I was talking about earlier, this state transference. They can feel whatever you feel. It's contagious. If you start thinking about abundance more as a state of being as an emotion and money as just something that we've agreed upon, now it's important not to have negative thoughts about money if they get all money is bad because we're choosing to play the money game. We're in a society with money. If you don't like money, then you have the choice to go live somewhere else and not be a part of that. But the thing is if you're in a society and you are playing the money game, then it's essential to at least understand the game and to allow the game to be there doesn't mean you need to identify with. Doesn't mean that you get lost in it, but you have to be aware of it because sometimes in the spiritual community, when you become aware of certain things, you're like, oh yeah, money's control. Money isn't backed by gold. All these negative things, and the more you've developed as data perspectives, the more you relate to money in that negative way, the less money you're going to attract into your life. You've agreed to play the money game. Just be aware of that, like just acknowledged that but doesn't mean you have to be identified with it. You're just aware that you're playing that game. What you then do is you realize that in life in general, it's kind of like a monopoly game. You play monopoly with your friends, you have this fake money, but you agree for the time being of playing the game that here we go, let's change the money. Let's trade this, let’s do this. They all got to go. Got to go to go with $200, whatever. That's a monopoly. In life, we have agreed to play the game of life and when we walk around, life, in general, is a giant monopoly game that we have agreed to play. The way we relate to all those different pieces and all those ever things is how we relate to those pieces, to those different properties. Whatever it is, it's going to be the emotion of how we feel about it. If we walk around with a negative connotation about all of those different places, those different places aren't going to want us to own it. Pretend like these different pieces on the board have a different emotion. They have a different perspective or a consciousness. Do you think they're going to want you to live there? Do you think they're going to want you to add them as an investment? They're not because it's like you almost negatively relate to them. Instead, develop a positive relationship. By knowing it's more about the value you can add to other people. The value you can add, the surplus energy you can put out there will then come back to you to where then you can become more and more abundant because the truth is money is an agreed upon reality. Money has no power other than the other than the meaning we give it other than power. We give it, but the power comes from within us. When we start to see that we are the source of power, our beliefs create our reality. That's where everything begins to change. 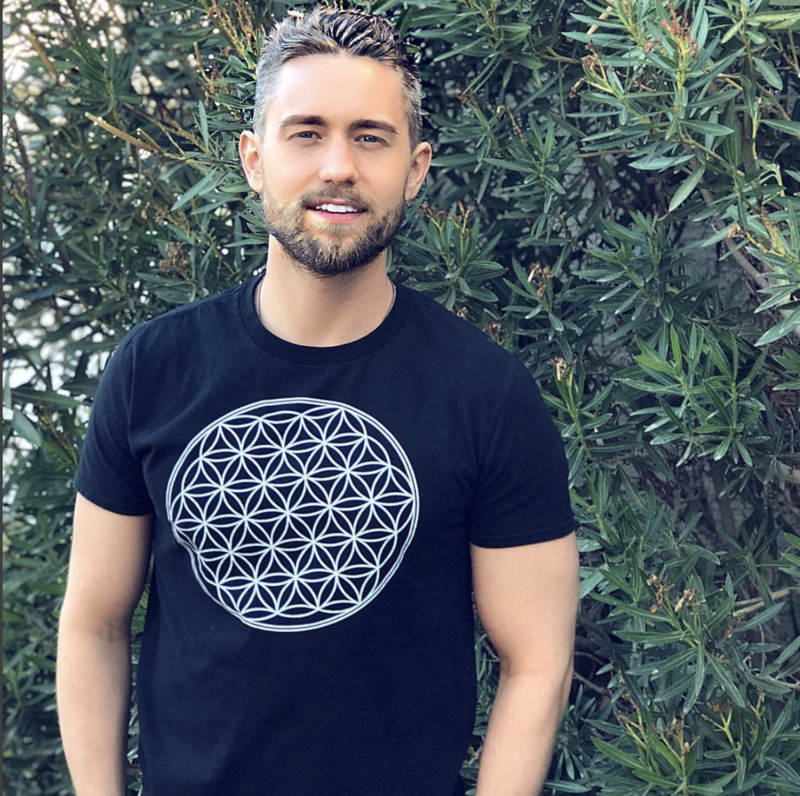 A lot of what I'm sharing with you right now is going to be stuff that I also teach in the shift experience, the shift experience with Aaron Doughty. When we start to see that we are the source of power, our beliefs create our reality. That's me. I am creating a program right now that is going to be a total transformation of consciousness. It's not going to be just a digital thing that you think about. It's going to be an actual experience that you go through that shifts your level of consciousness into going from being at the effect of everything that's happening to your life to understand that you are so much more than that too. Then waking up to this higher dimensional level being does higher this higher way of going from having to do, having to try to have something into being into the present moment, knowing that you're already whole and complete and knowing that everything is a reflection of what you believe to be true and we change what you believe to be true you. You change everything, so if you want to be notified as to when that goes live. If you go to aarondoughty.com, you'll see on the front page on the, like, you just scroll down a little bit. You'll see it on the left-hand side. The shift experience is coming. You click there, I will send you updates. I also send daily newsletters and like tips and stuff and a lot of people have been really liking that. A lot of people that comment on my Instagram posts and south early thank you so much for the emails and stuff because I post like four times a week, four to six times a week that have a thing that just adds value via text and a lot of people like the YouTube videos or the audio, but that's another way if you want that as well. I'll be doing more live q and as on Instagram, so if you want to interact with me, you may do that as well.